2. Click on the Turn Windows features on or off link. 3. 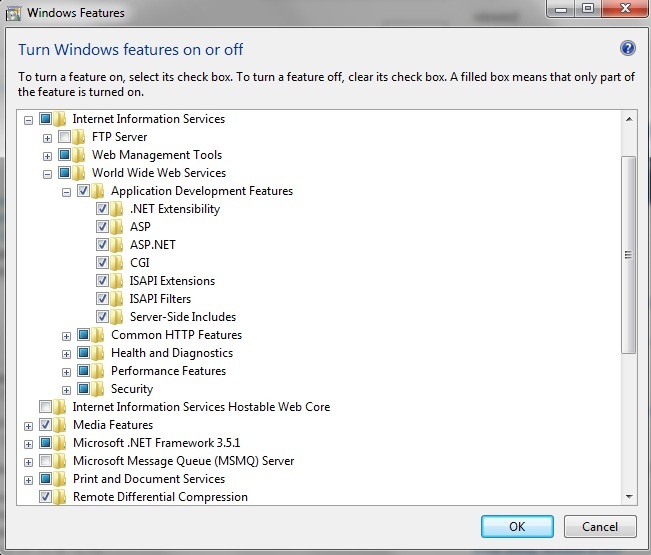 Expand Internet Information Services > World Wide Web Services > Application Development Features and select ASP.NET and any other features you wish to install. 2. Click on the Turn Windows features on or off link. The Server Manager window will open. 3. 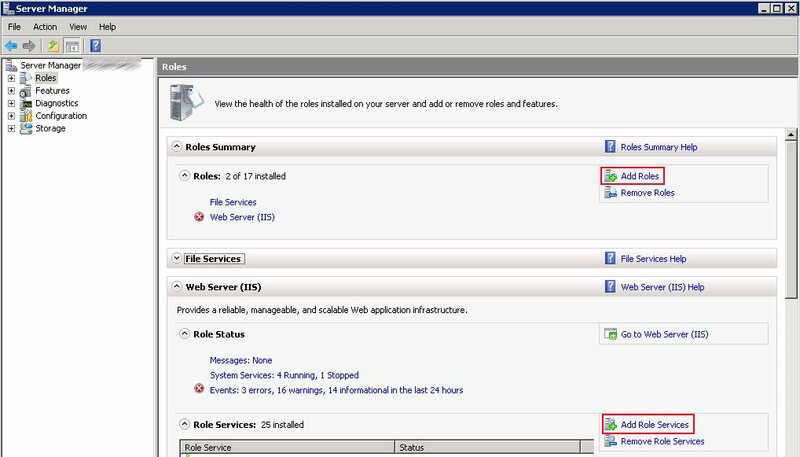 From within the Server Manager, Click on Roles. 4. Click on Add Roles. 5. 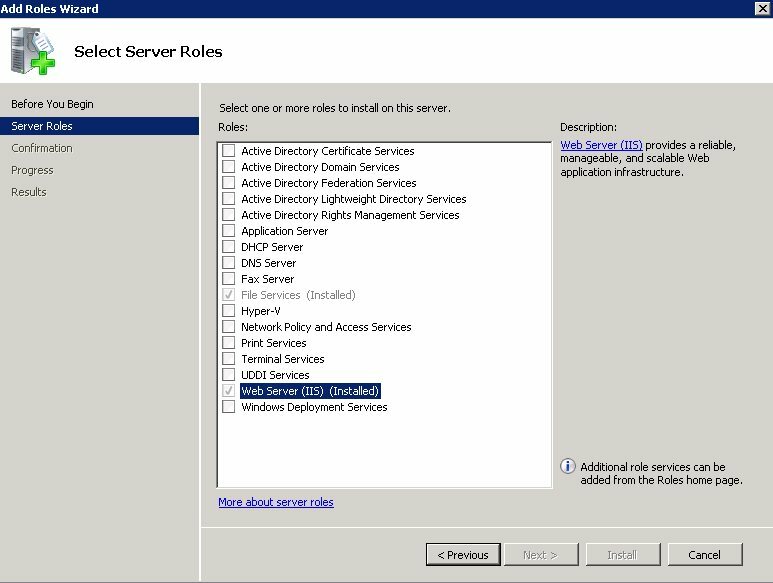 Select Web Server (IIS). 1. Click on Role Services. 2. 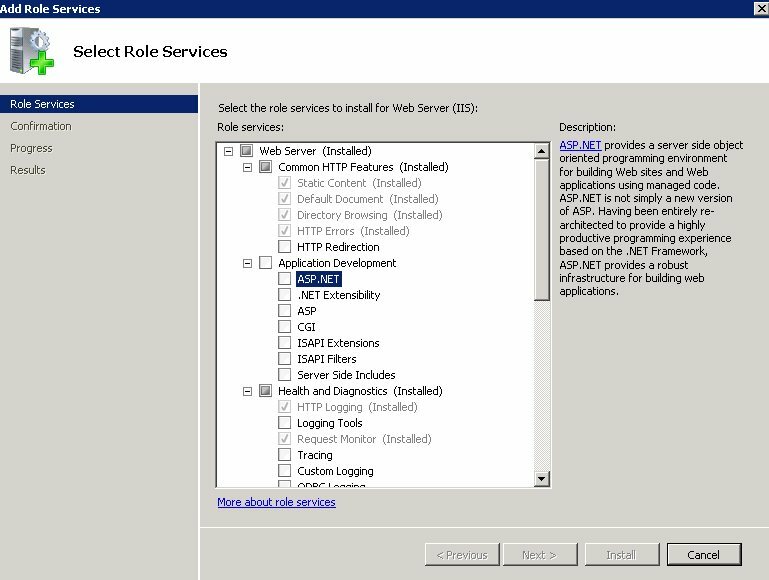 Click on Add Role Services. 3. Select ASP.NET and follow any confirmation messages.